Most short sales are listed by real estate agents. You will find these listings on local websites and in MLS feeds. Some lenders have complained about advertising that identifies the home as a short sale, because the lenders feel it puts them at a disadvantage when it comes to home pricing. This is accurate, as buyers generally offer less when the property is advertised as a short sale. Professionals with short sale experience can help you navigate the short sales process in your local market. The buying process is often far more complex—and far longer than typical sales–so a trained ally on your side can make your experience successful. Here’s where a good short sale real estate agent is worth his or her weight in gold. Uncover how much the mortgage is worth. Find out how much the current owners paid and when. Find out how many liens are on the property. Find out which lender is the primary lien holder. Research comparable sales in the area. 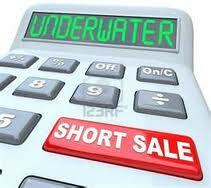 Short sales are typically sold “as is,” with no contingencies allowed. That short sale is no bargain if you discover—after the closing—that it requires major, unexpected repairs. A thorough home inspection will provide a clear view of the home’s condition, allowing you to make educated decisions on whether or not to purchase. Like any real estate transaction, successful negotiation is required to strike a deal. If the lender rejects or counters your written offer, you’ll have to negotiate with the lender by making a higher offer. Be prepared to offer more money to close the deal, or to walk away if it doesn’t make financial sense. Short sales, which have increased in volume and frequency, are overloading some lenders. Be aware that processing and decision-making times for some lenders can be quite long—up to a year or more. Decide if you have flexibility in your timing, and if so, know that you may be waiting for awhile. You need to know your options when it comes to your home. If you want to keep your house, but can’t make the payments and you owe more than your home is worth, you may look into filing bankruptcy. This will stay the foreclosure process (not forever) and may allow you to stay in your home and repay your lender under different terms. Deed in Lieu – If you owe more than the home is worth, this is not an option for you. Deed in Lieu means that you give up the house to the bank and walk away. Ie, you give up the deed instead of facing foreclosure. Short Sale – If you owe more than your home is worth, and don’t want to declare bankruptcy or face foreclosure, then a short sale of your home is the best option. A short sale does have potential tax implications. This is probably the biggest tip I would give to people who want to sell their home in a short sale. FIND AN EXPERIENCED REAL ESTATE AGENT WHO HAS DONE A SHORT SALE BEFORE. Your real estate agent will be able to deal and negotiate with the mortgage company(ies) on your behalf. An experienced short sale agent will give you a much better chance of successfully short selling your home. Because there is often so many different entities involved in a mortgage (1st mortgage, 2nd mortgage, the investor on the loan, etc) you really don’t want to do this on your own, with no experience. Plus, you’ll never have any out of pocket expenses to pay an agent, as everything is essentially paid by the lender. WARNING! Just because an agent says they specialize in “short sales” does not mean they have actually successfully done one! There are many classes agents attend regarding short sales, but nothing compares to real world experience. The longer you wait to get started with the short sale process the less chance you have of success. Every state is different with their foreclosure process. You need to decide quickly to start the short sale process if you’re getting behind on your payments, or have already received a notice of default. An experienced short sale agent will tell you what you need to do to get the house ready to sell. Don’t get too hung up about the price. If the agent wants to set a low price on the house, there is a reason behind that. In my own short sale, we priced the house pretty low and got an offer very quickly. You need a buyer that is willing to stick around for a super long closing or changes to the agreement. In my case, it took almost 4 months from when we got the offer to when the closing took place. Don’t get hung up about the price, all you should care about is getting the place sold. Congress recently passed and the president signed a law that likely releases you from any tax implications of a short sale. Talk to a qualified tax attorney or CPA about this for your particular situation. Your real estate agent should know about this! A good agent will have a quality referral for you to handle the tax implications of your short sale. Because your closing date may not be set in stone, you need to be prepared to leave your home quickly if needed. You do not want to end up like me and live in your office for 2 months! Trust me, it’s not fun! A minimalist lifestyle is nothing to be ashamed of; in fact it should be venerated. Your possessions are just inanimate things; it’s the relationships in your life that really matter. OK, enough life advice! Sell anything you don’t need or haven’t used in the last 6 months on craigslist! The less you have to deal with on moving day the better. If you are already in default, or have a foreclosure pending, this whole scenario and process of trying to short sell your home can be very emotionally draining. You will receive solicitations from everyone and their mother. You may have people stop by your home while you are still there. It can be a very difficult process. Make sure you have people in your life to talk to about your situation. You will need a support network to help through this time in your life. It will pass. And you are being proactive in seeking a short sale of your home. You are taking the right steps, and in time, everything will work out. I can’t promise it will be easy, but you will make it! You Need An Experienced Short Sale Agent!